SallyGreenGamer is a mom, a gamer, and a YouTube star. Her audience? Kids who love Minecraft. Her YouTube channel features videos of her playing the game and she runs a weekly Saturday morning livestream where she plays Minecraft and interacts with her fans online. Her videos have been viewed more than 34 million times. If you find this statistic hard to believe, you’re not alone. We hear from parents who are perplexed that their kids love to watch videos about Minecraft on YouTube. Why are their kids watching so much Minecraft on YouTube? Isn’t it more fun to actually play the game? The answers aren’t obvious. Kids can learn a lot by playing the game, as well as watching videos. Here’s why kids watch, what they can learn, and where to find Minecraft YouTube content that is safe and family-friendly. When Amazon bought the video game streaming site Twitch in 2014 for almost $1 billion it was a sign that it wasn’t only kids that loved to watching video game players. On Twitch, people watch others play games and interact with them online. It’s fun, social, and strangely engaging. Minecraft YouTubers like SallyGreenGamer tap into this same dynamic, creating video content in a social setting about a game kids love. Her 9am Saturday morning livestreams take the place of Saturday morning cartoons for many of them. Yet unlike the characters on the Disney Channel, her stories take place in a game world her fans know and love. For many kids, Minecraft YouTubers are both aspirational and relatable; they are wowed by the idea that their favorite YouTuber is doing something that they can do too. “Role model” may not be the first word you think of seeing the creators of “Babysitting Troubles” or “Hunt Them Down! Hunt Them All!”. At the same time, we know kids thrive when they connect with others who have shared passions. Research shows that interacting with others around a love for something—a favorite book or band—not only feels good, but also powers learning. Another reason kids watch is because Minecraft YouTube videos are easy to access. According to CTIA 70 percent of households with children have a tablet. Many households are opting out of cable television in favor of streaming media. All a child needs to access YouTube is a device and an internet connection. SallyGreenGamer told me her #1 viewers are kids watching her videos on android tablets. Some kids watch Minecraft on YouTube simply to stay in the loop with others in their social circle. Kids without access to the game or with little time to play use Minecraft videos as a surrogate for game play. The videos offer kids a chance to explore the lingo, lore, and popular personalities of Minecraft in ways that allow them to remain part of a fandom they share with their friends. Minecraft YouTubers tend to specialize in a specific style of Minecraft video. Some, like SallyGreenGamer, specialize in Let’s Play videos, which are among the most popular videos overall on YouTube. Others create scripted role plays, stream their play, or create detailed tutorials for the game. Recognizing these genres is key to understanding why your child may be watching. While it might be hard to imagine how anyone can wring an ounce of drama out of simple, 3D block characters YouTube stars like Aphmau have kids riveted. Her scripted stories give kids a platform for imagining stories set in the Minecraft universe. Many kids watching Minecraft videos don’t actually play Minecraft, choosing to connect to Minecraft’s rich world through animated storytelling. Kids consume scripted role plays as entertainment and watch them much like they watch TV. Let’s Play videos feature a gamer playing through Minecraft, offering their take on the game. The videos are funny and irreverent, and include editing, scripted narration, and larger than life personalities. Kids watch Let’s Plays to learn new skills and to be entertained. Many also love the social connection: they can comment on the videos and sometimes have the chance to play with their favorite Let’s Play personality on a public Minecraft server like Mineplex or Hipixel. There are more than 54 million Let’s Play Minecraft videos currently on YouTube, making it the most popular of all the genres. When Mojang released Minecraft there was no instruction booklet, no in-game tutorial or video series that explained how to play the game. Every single instructional resource to date has been created by players. How-To Minecraft videos teach players how to do specific things: how to make colored signs, build a lava door, or find fossils in Minecraft, for example. If your child is watching How Tos it’s a good indication that they are working on a new skill or trying to figure out how to progress in the game. 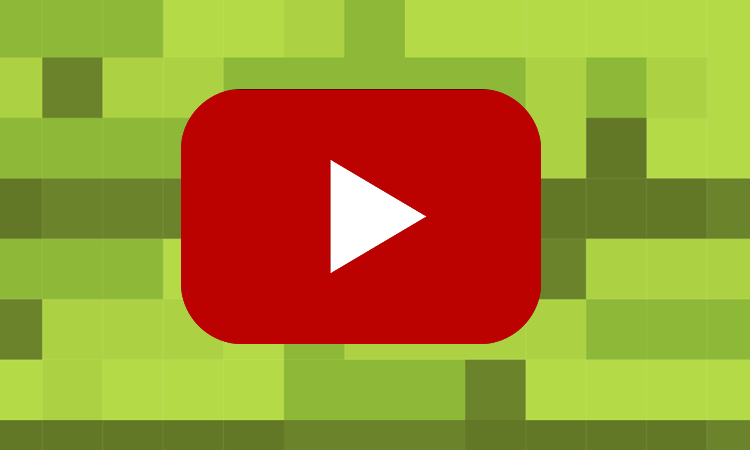 Minecraft YouTube Streamers are players who livestream their play online. Unlike Role Plays and Let’s Plays, Streamers skip the scripts and create experiences performed on the fly. Kids can interact with the streamer and other viewers through chat, making the experience a lot like interactive TV. Streams give kids a chance to geek out with others in a social setting, which can fuel both their interests and learning. If your child loves tuning into their favorite Minecraft YouTuber’s livestream or watching the videos of past streams, chances are they are doing it as a way to stay connected with friends. Ultimately, Minecraft videos offer different things to different kids. For the Saturday morning cartoon contingent, entertainment is top of mind. For others, YouTube provides a social platform for connecting around a shared interest. Other kids like the videos for the stories they tell. 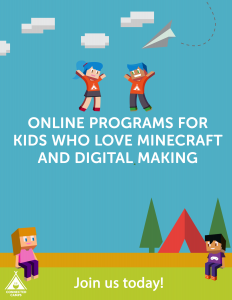 Some kids, like those enrolled in our online summer camps, might use Minecraft videos to help them hone a skill or learn how to do something new. The beauty of the Minecraft YouTube universe lies in its diversity: no matter your child’s interest, they’ll find a video to suit their needs. All Minecraft videos are not created equal. Be aware that there are YouTubers who are consciously family-friendly and a vast majority who are not. Family-friendly YouTubers stick to kid-friendly content and avoid offensive language or imagery, gun violence, or adult themes. You can use YouTube Kids or other apps like it to help your child find videos that are appropriate for their age. YouTube Kids uses algorithms to filter out inappropriate videos and includes a flagging system for parents for any that might slip through undetected. The app bars non-child-friendly ads and doesn’t allow comments. You can also look at the channels the YouTubers recommended here subscribe to, as another resource for additional family-friendly Minecrafters. Special thanks to Steve Isaacs and SallyGreenGamer for their contributions to this post.